Antique Map of Asia titled ‘L’ASIE/divisée en ses Principales Regions,/et ou se peuvent voir l’estendue des/EMPIRES MONARCHIES, ROYAUMES,. ET ESTATS/qui partagent presentement L’ASIE./Recueilli de divers Memoires, et sur les Relations les plus Nouvelles/Par G. DE L’ISLE, Geographe ordinaire du Roy/a l’usage de Mr. le DUC de BOURGOGNE/A. AMSTERDAM/Chez I. COVENS et C. MORTIER/Avec Privil.tttt’. 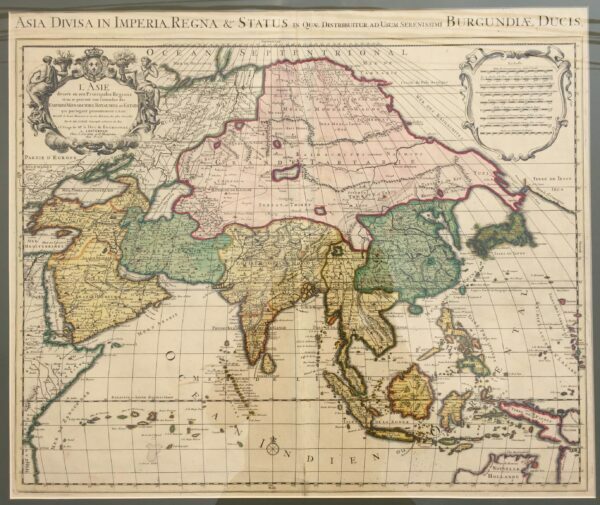 An early 18th century map of Asia in original colour by the great French cartographer Guillaume de L’Isle (1675-1726) who believed strongly in the importance of map accuracy. During his lifetime his one hundred or more maps were continuously updated to reflect widening knowledge of the World. This particular map has the imprint of Covens & Mortier, map printers and publishers of Amsterdam who were active between 1721 and 1774 and comes from a re-issue of De L’Isle’s Atlas Nouveau published by them in 1730. 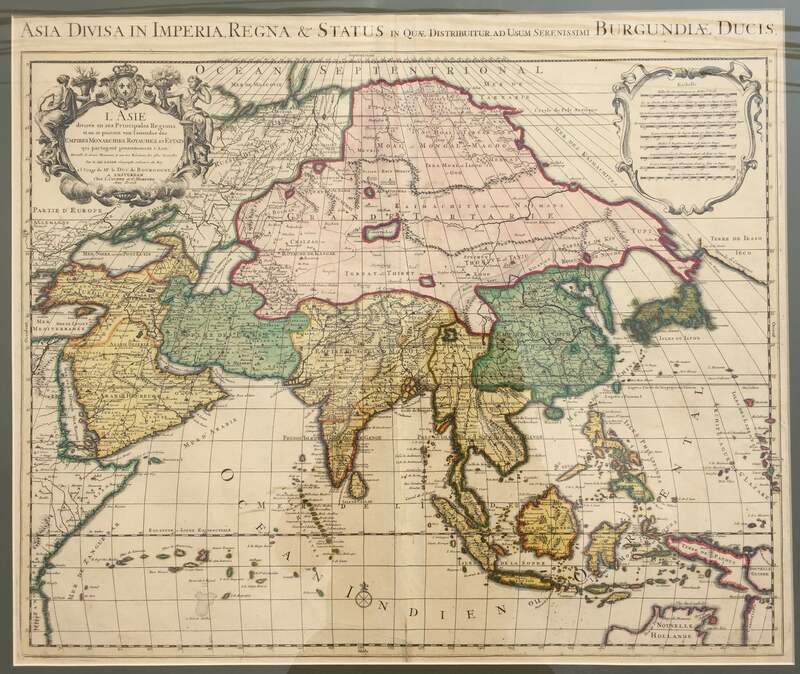 This map is a fine illustration of just how little was known of Asia even in the early 18th century. Nonetheless, there is much here of interest. The Caspian Sea is wildly malformed, the Crimea is an island, mysterious uncertain lakes appear throughout Central Asia, the myth of Lake Chiamay is preserved in modern day Thailand, and northern Japan and northeast Siberia are entirely speculative.